I went to Louisiana expressly to shoot the amazing bald cypresses growing in extremely remote southern swamps. Many cypresses are hundreds year old, some of them can be even dated back to 1.200 – 1.600 years ago. At a first glance they seem to have been cut at the very top of the end however there is no evidence of deforestation: the “bonsai” look is caused by past hurricanes. 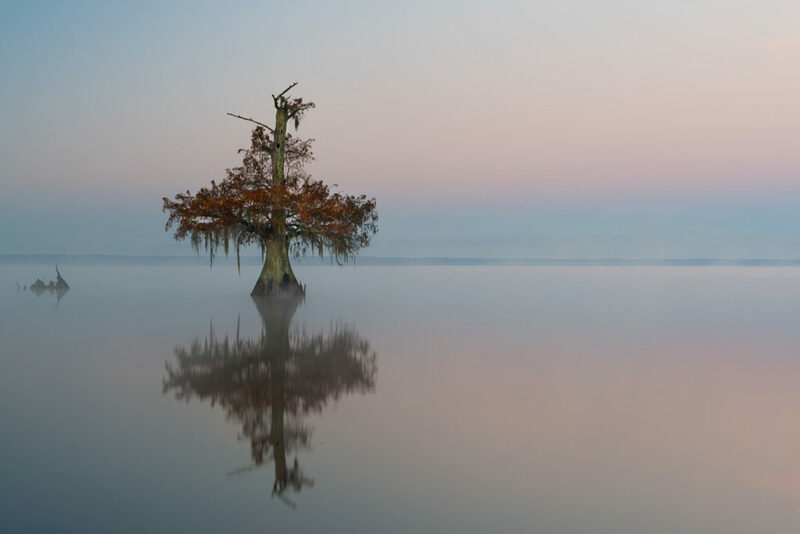 The millennial cypresses covered by moss emerge from the water like haughty sentinels of the swamp in which alligators, poisonous snakes and carps find shelter.